It is a website development and editing tool. With this fantastic tool, you can edit the live pages or create the pages from scratch without facing any difficulty. 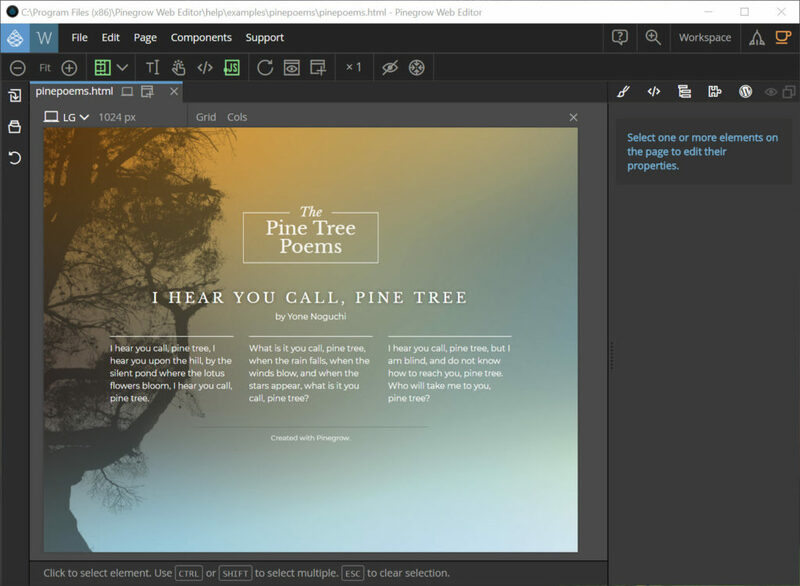 Pinegrow Web Editor does not only allow you to have a responsive website; instead, it also supports CSS and SASS Styling. Moreover, it also has the smart components for forums like Bootstrap, Word press and Foundation. You can be sure that you will not have to be restricted to a particular file format. Moreover, you can open your existing files by using this application too. It supports other web development tools as well. 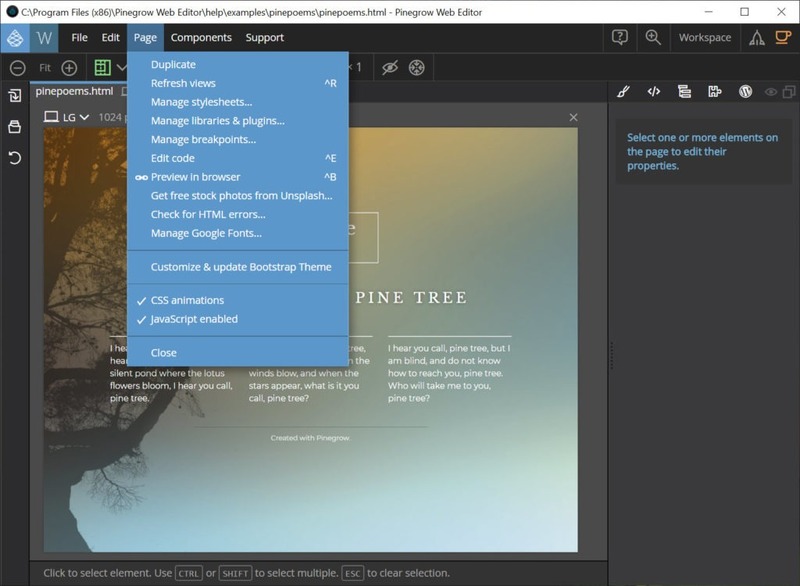 So, you won’t have to face any problems when it comes to the compatibility of Pinegrow Web Editor with the other tools. Another important feature that can benefit you is its availability offline. Because of this feature, you can create websites even without internet connection. It also includes the visual tools for designing the layout of the website. Adding, moving, cloning and deleting the elements are easily possible. You can even use the drag and drop feature to manage the details on the web page. The adjustment of your website on different websites is another feature that you can get from this smart web editor. 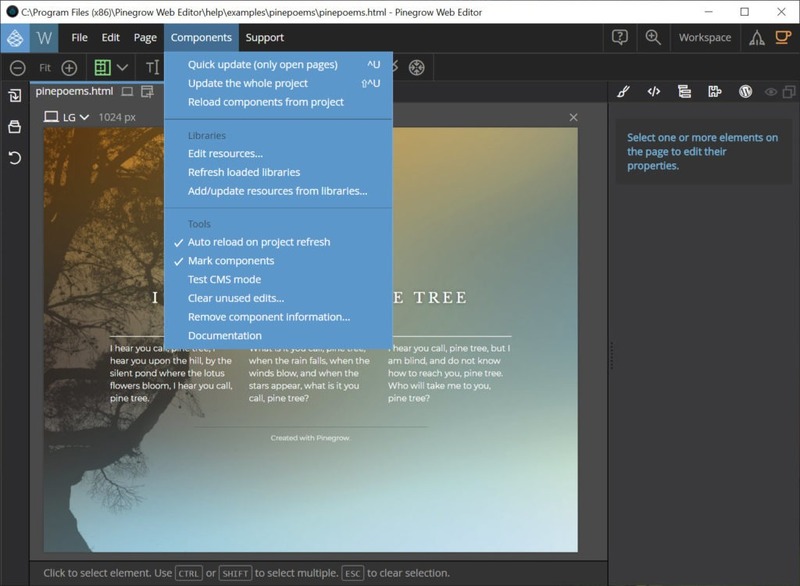 Setting up the master pages, defined templates and reusable components are all possible through this application. Styling, responsiveness, and collaboration of your website with others for editing are the unique features that can make your work easier and faster. 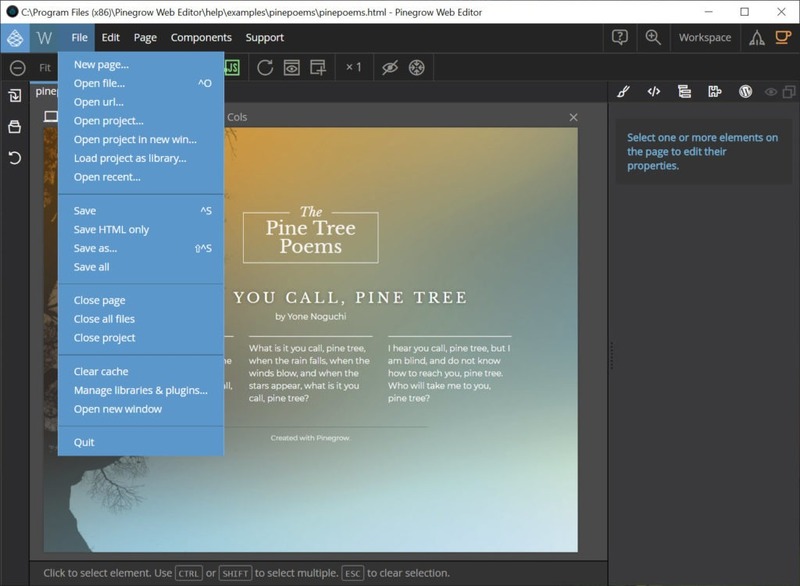 Pinegrow Web Editor is a multipurpose tool to facilitate the creation and editing of the websites in a faster and responsive manner.